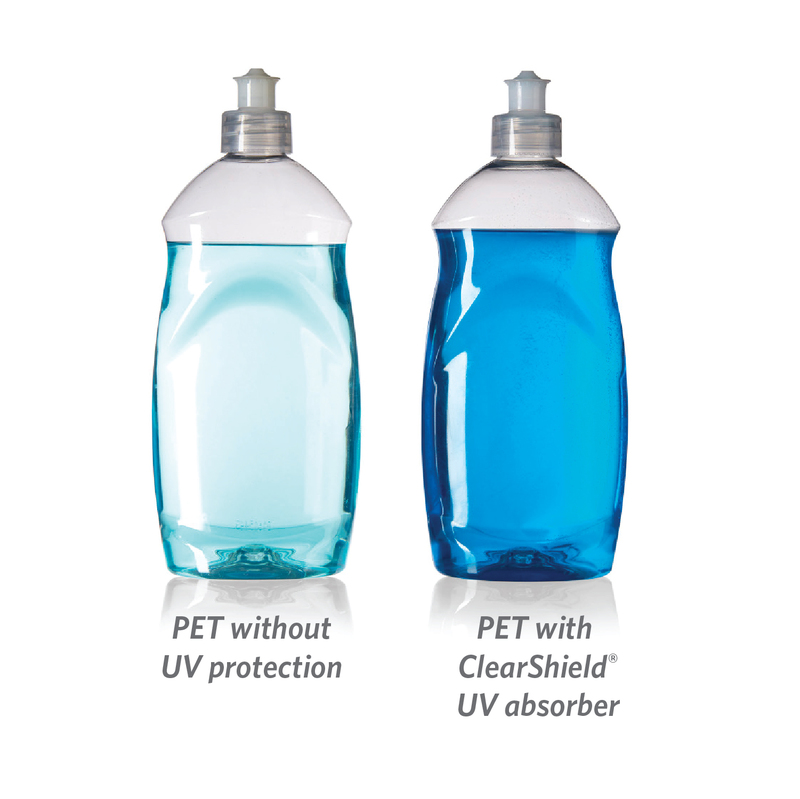 Milliken Chemical said at Interpack 2017 it will highlight the protection offered to PET packaging by its ClearShield UV absorbers. The absorbers offer protection to UV-sensitive contents from degrading, while the material’s clarity and transparency is maintained. Milliken says that brand owners now-a-days are moving towards clear packaging by replacing artificial colourants and preservatives with more natural ingredients for packaging solid food, drinks, vitamins to home and personal care products including shampoos, dyes and cleaning chemicals. But, this process poses a challenge of degradation from UV exposure, which can negatively impact not just the appearance, but also the performance of the products in question. In order to protect such products from damage to UV exposure, Milliken has been developing packaging solutions. ClearShield is one such alternative to protect against UV exposure. The company says that by adding UV absorber into the PET packaging itself will let brand owners to remove high-loadings of UV additives that were previously included in the packaging. Milliken claims that the ClearShield can absorb around 95% of UV light at up to 390 nanometers and can be effective even at very loadings, while allowing brand owners to use more of highly UV-sensitive ingredients and colourants into their products. In many cases, thanks to the removal of additives, stabilizers and preservatives, complexities of product manufacture can also be reduced, thus reducing the overall cost of the product. Due to its properties, ClearShield can overcome the drawbacks of traditional packaging technologies, which includes unwanted colour, migration and bloom. The absorbers are easy to handle and meter and as they are integrated into the PET itself and it does not extract into beverages. For PET preform producer and bottle converters, ClearShield can simplify processing by resisting plate-out onto injection molded preform and bottle molding surfaces. Milliken also claims that its ClearShield is approved for food-contact applications by the European Food Safety Authority (EFSA). “Better contents protection and extended shelf life help to reduce product waste. And by enabling greater use of more natural and uncolored PET, ClearShield helps to reduce or eliminate the need to use dark or colored containers to protect the contents. Image: Milliken to showcase UV absorber ClearShield at interpack 2017. Photo: Courtesy of Milliken & Company.